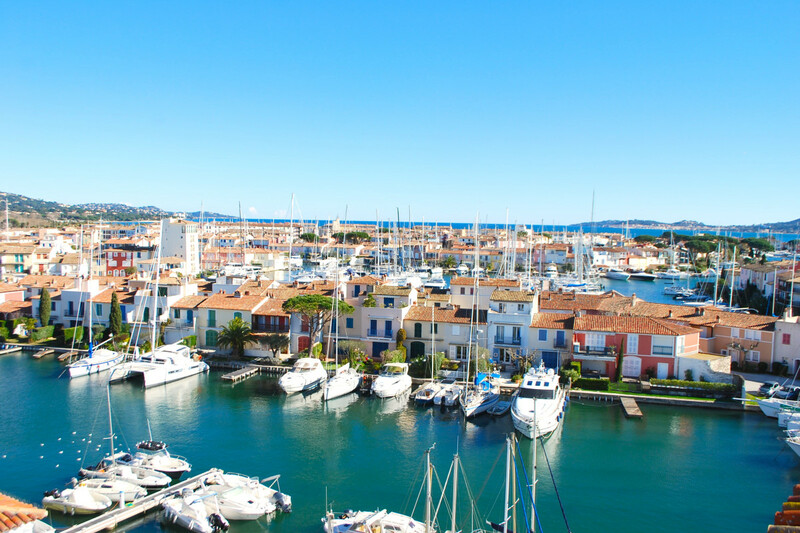 Duplex apartment with grandiose views of the Gulf of St Tropez. Suitable for disabled. Private elevator, great view, that was a perfect choice to come with my parents. "Wow, the view is increcdible"
You can see from Port Grimaud to St Tropez. This apartment is in very nice condition.It has a large living room and well-equipped kitchen. It is handicap accessible which was great for my mom. "Lots of good but some not so good"
To start with a positive - great views from large kitchen diner on edge of Port Grimaud. Spacious accommodation - we have been staying here in houses for 5 years and this was definitely bigger. Few niggles - no WiFi, tv not working when we arrived although a new smaller set was delivered quickly.Main issue was that bed in main bedroom was a hospital type bed, with a very thin rubber mattress and pretty small. My husband and I ended up sleeping in small back double bedroom so we could sleep - fortunately the other couple due to join us did not arrive so we had that option but for 4 nights we did not sleep. Also bedding provided by owners very poor - I would take my own pillow!Property not cheap to rent so I expected a higher standard altogether - as I have said we have stayed in Port Grimaud several times and have had much better accommodation for a better price.